Please complete the form below and your enquiry will be sent directly to Bellavista Country Place via email. 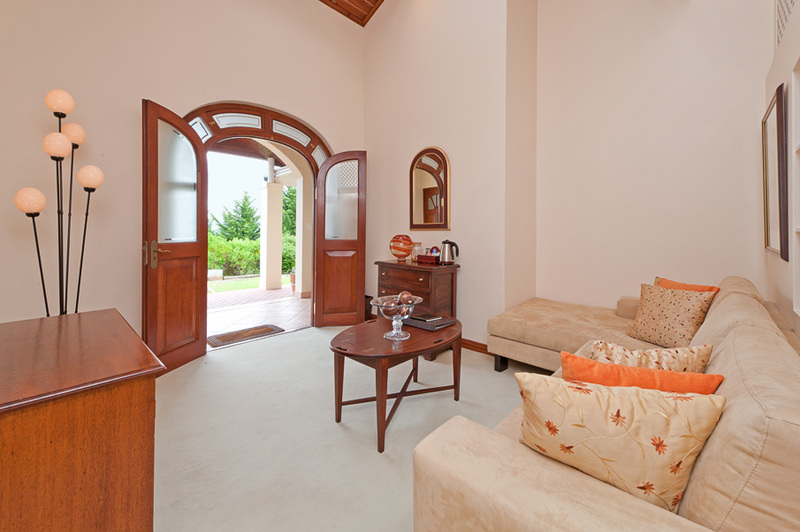 Your enquiry has been sent to Bellavista Country Place. 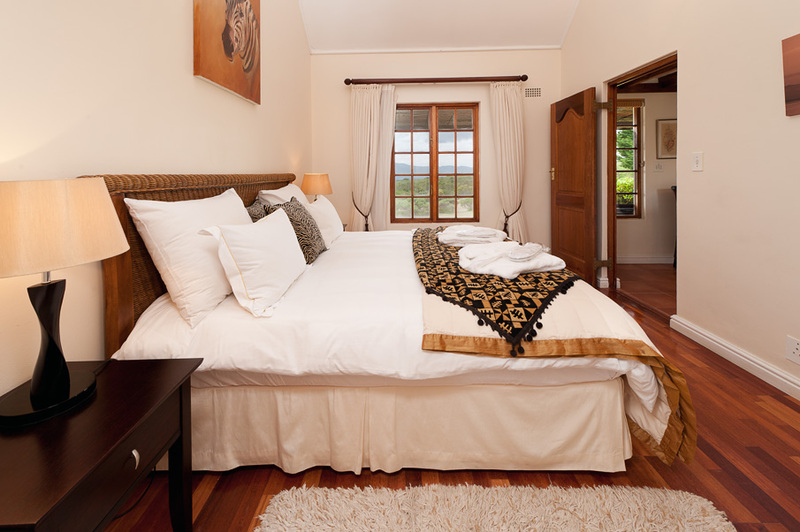 Bellavista Country Place is a luxury bed and breakfast guest lodge that can be found a short drive from the R43 between Gansbaai and Stanford. 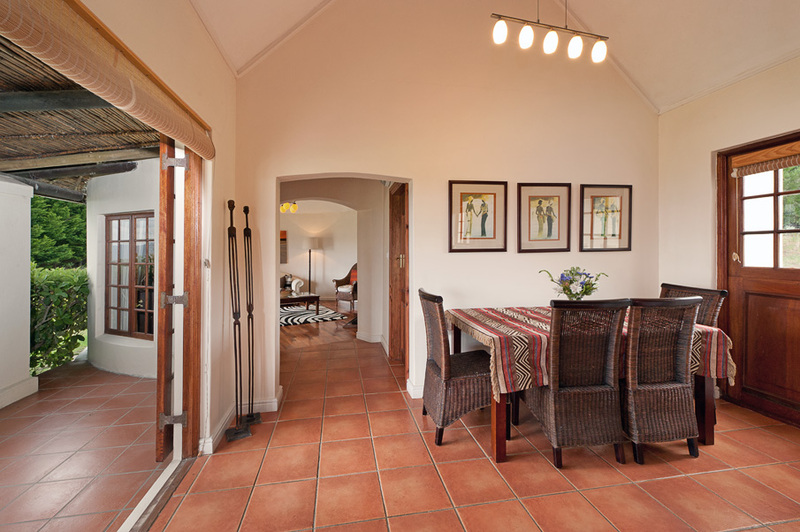 Discover perfection when you arrive at the 300 hectares of privately-owned floral kingdom and are met by panoramic views of Walker Bay, the surrounding coastline and the Overberg basin. 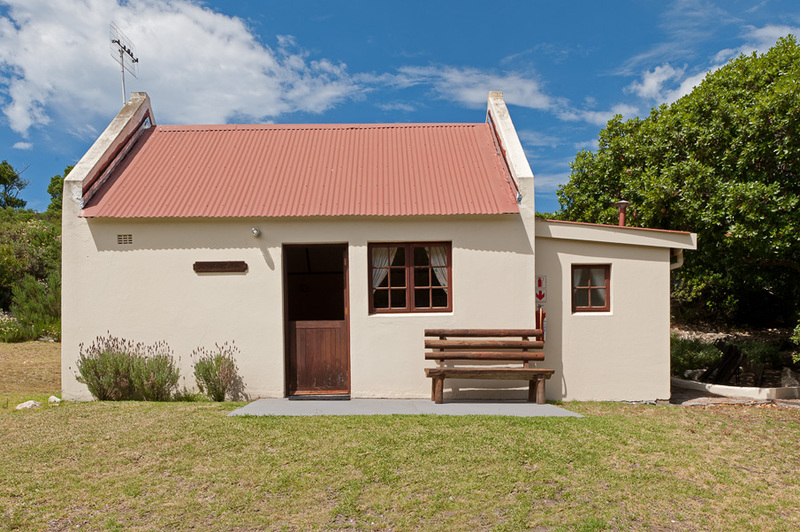 There are five different accommodation options including a free-standing cottage which is perfect for families. The park-like garden offers a few surprises such as a large, saltwater, infinity rim-flow swimming pool that overflows into a kiddies splash-pool, all available for guests to use at their leisure. 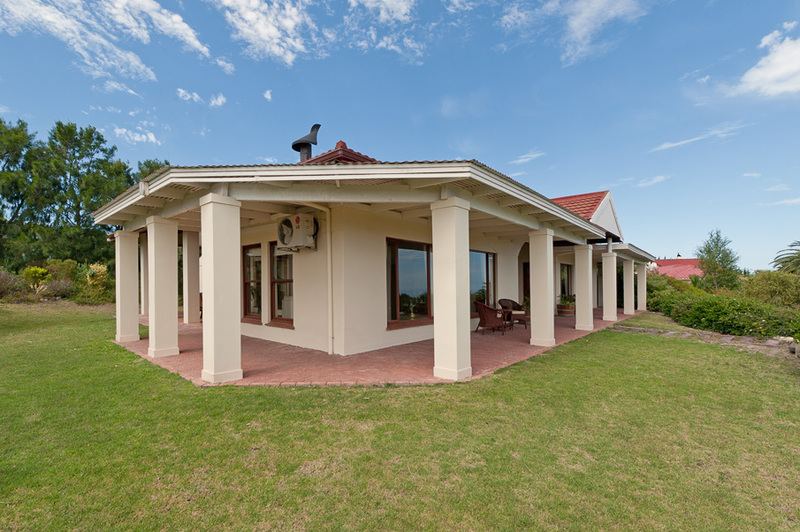 Bellavista Country Place is also home to the well-renowned Panorama fully-licensed restaurant that is open to guests and the public for lunches and dinners in season. 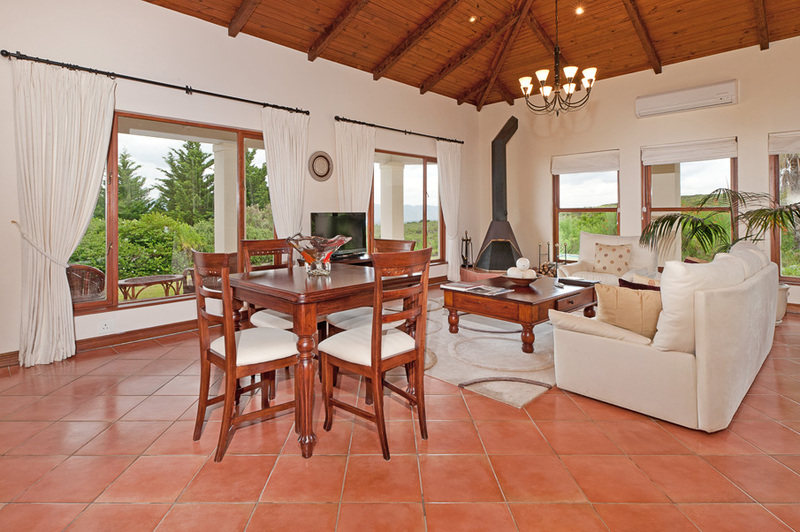 Bellavista Country Place is family friendly and sleeps a total of 14 guests. 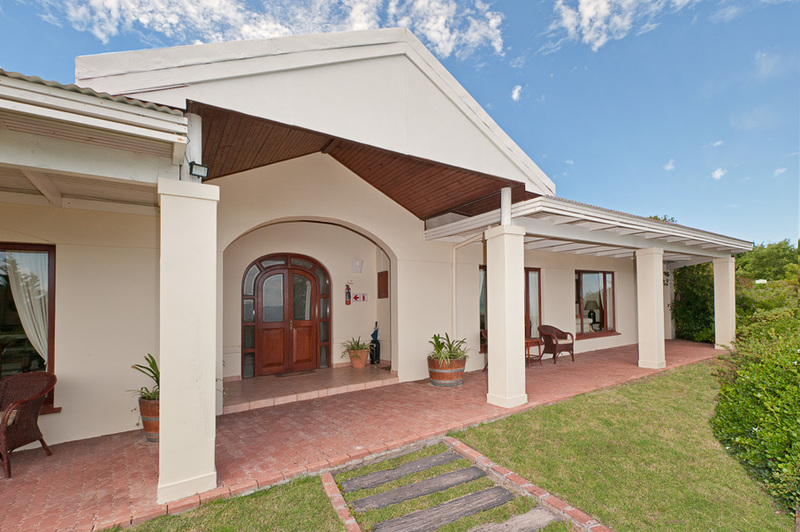 Click on ‘More Info’ below to find out more about Bellavista Country Place. 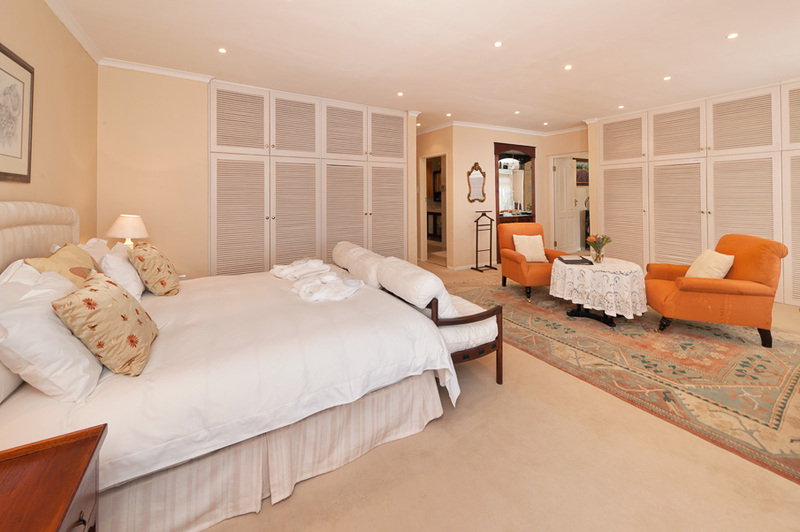 The Sea View Room sleeps four, is spacious and has a tandem room attached to it that is perfect for children. There is a tea and coffee making station. 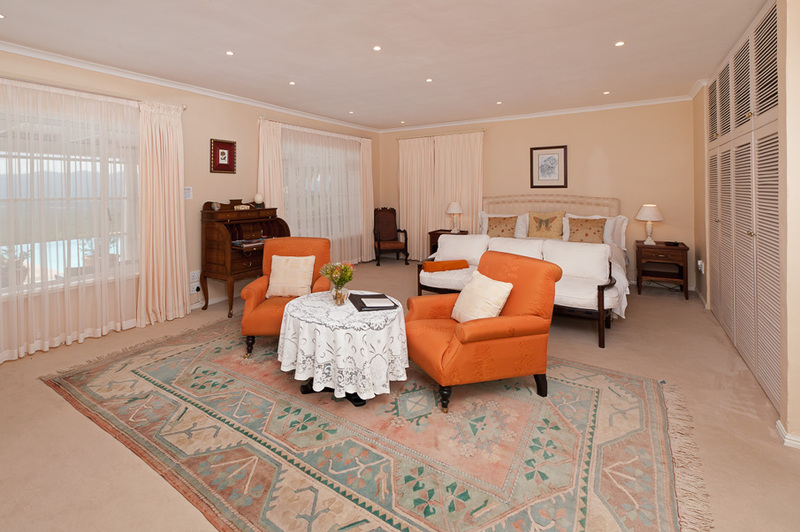 The main room has a King-size bed and a luxurious seating area with cosy armchairs and an antique writing desk. 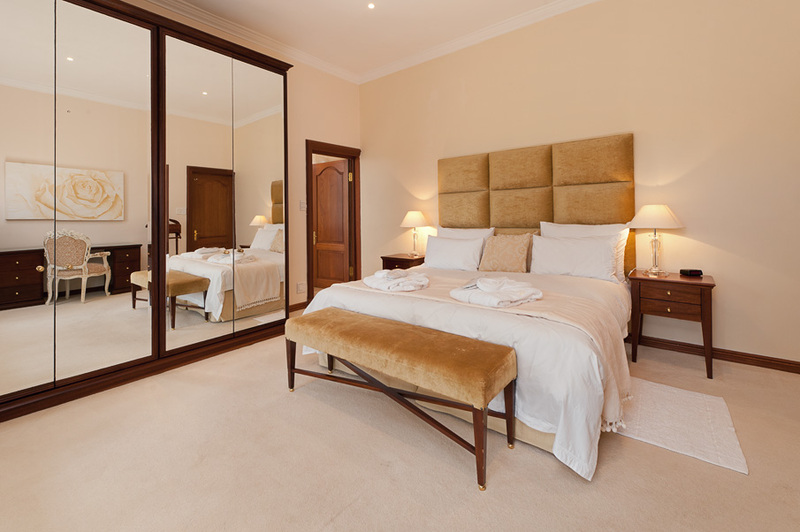 The second bedroom has two single beds that can be joined to form a King-size bed. 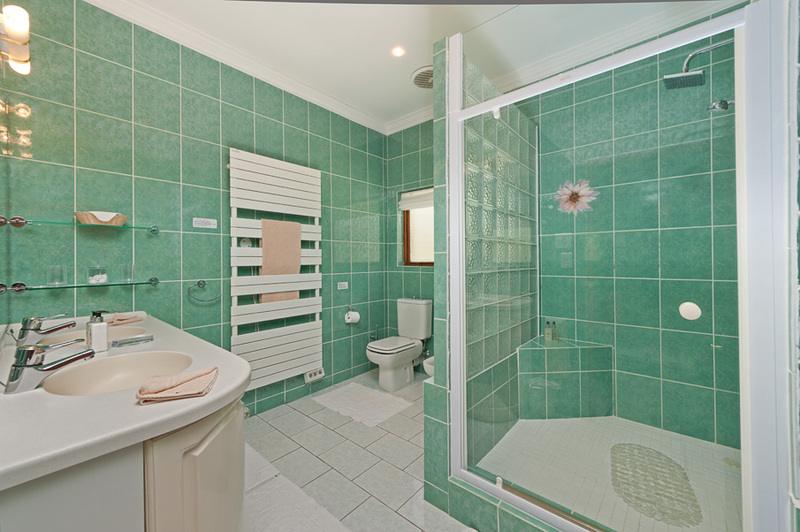 The shared bathroom has a shower, a double basin, a bidet and a toilet. 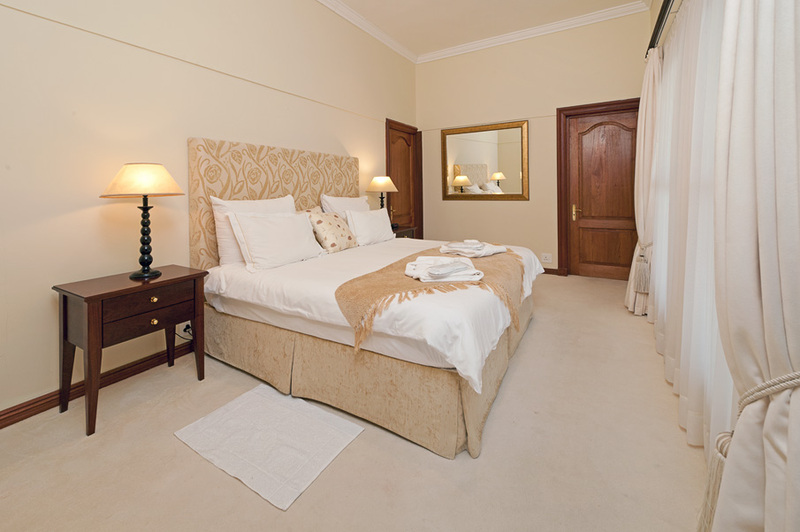 The luxurious Junior Suite sleeps two and has a lounge with a tea and coffee making station. 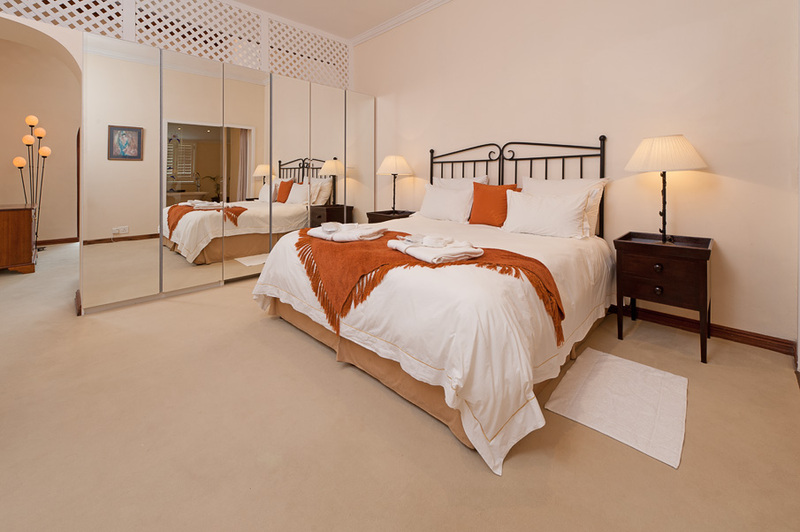 The bedroom has a King-size bed that can be split to make two single beds. 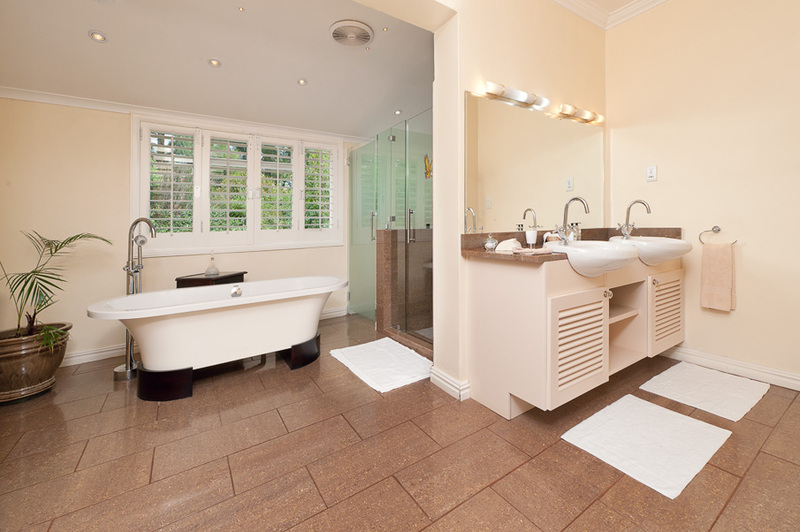 The ensuite bathroom has a large bath, a spacious shower, his and hers basins and a toilet. 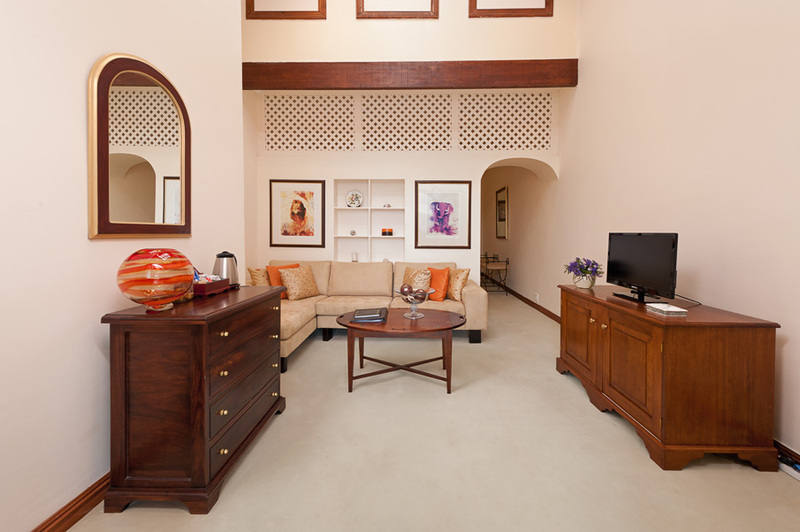 Sea View Luxury Suite is a spacious and elegant one bedroom unit that sleeps two and has a magnificent view over the gardens and the Atlantic ocean beyond it. The unit has its own private entrance. 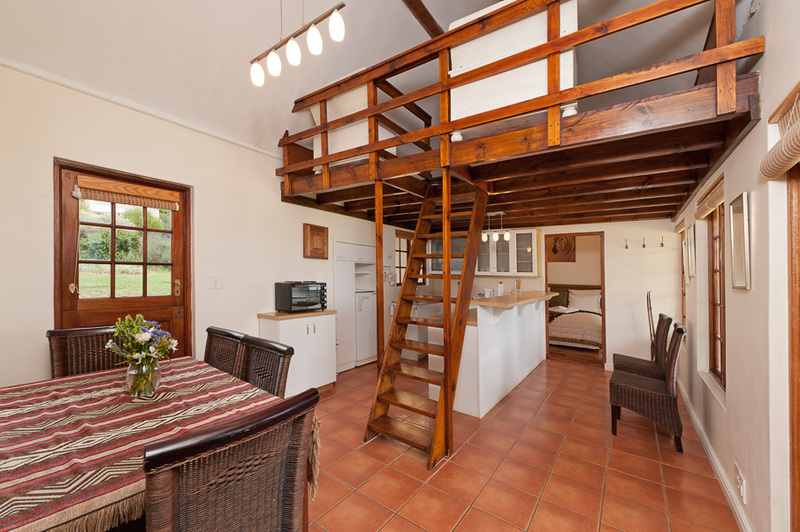 There is an open-plan lounge with a fully equipped kitchenette. 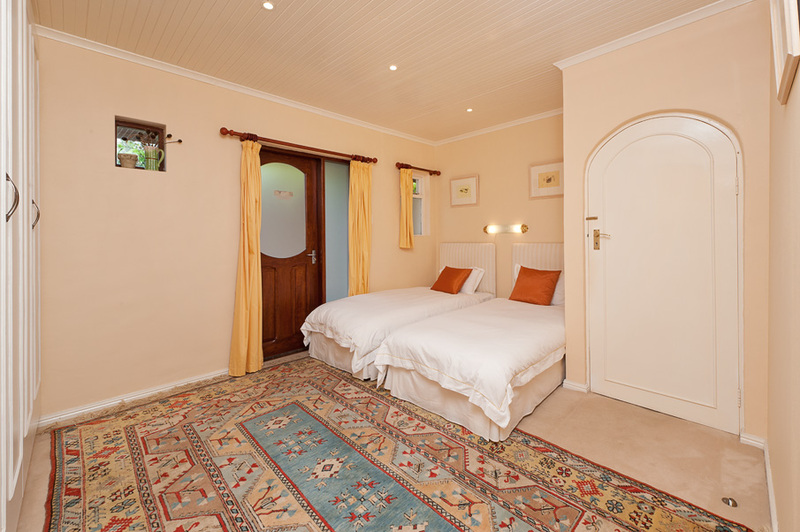 The main bedroom has a King-size bed (or two single beds) and an ensuite bathroom with a tub, a double shower, his and hers basins, a bidet and a toilet. 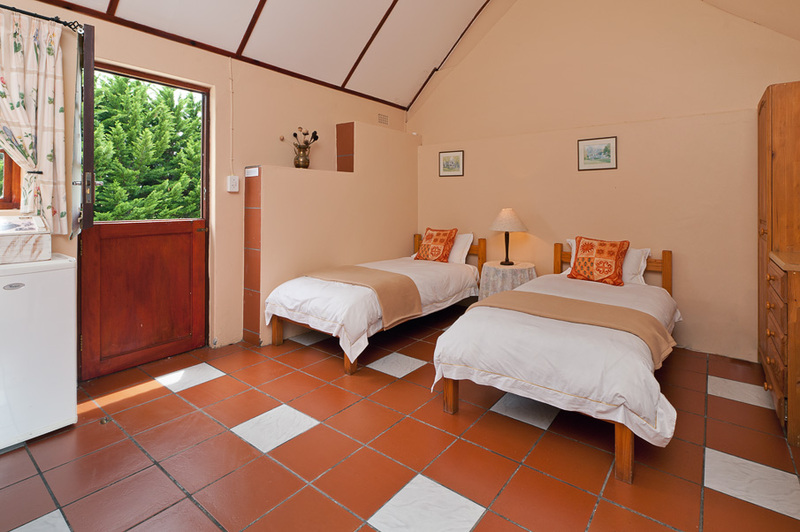 Sea View Honeymoon Suite is a cosy unit that sleeps two and has its own private patio area that overlooks the garden. 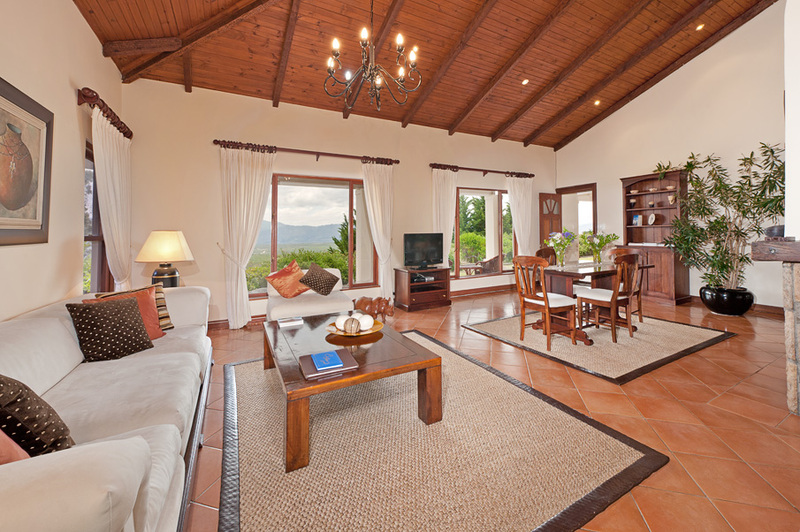 There is an indoor fireplace in the open-plan lounge and fully fitted kitchenette. 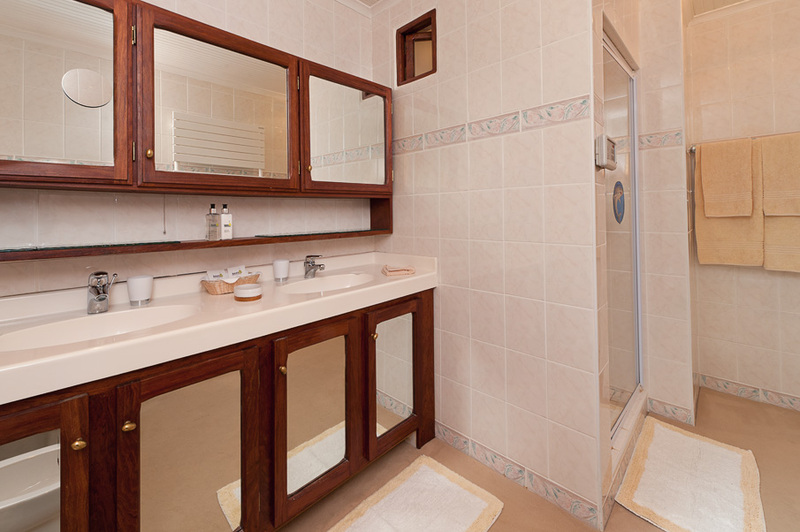 There is a King-size bed and the ensuite bathroom has a bath, double shower, basin and a toilet. Mountain Cottage is a freestanding cottage that sleeps up to six guests and has a magnificent view of both mountain and sea. 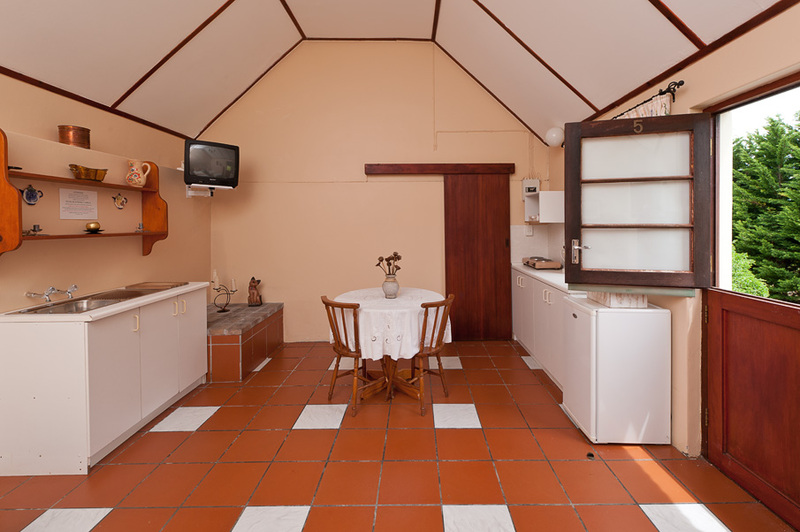 The sheltered patio has outdoor furniture and a portable braai. There is an indoor fireplace in the open-plan lounge and dining room area. The kitchenette is fully fitted. The main bedroom has a King-size bed. 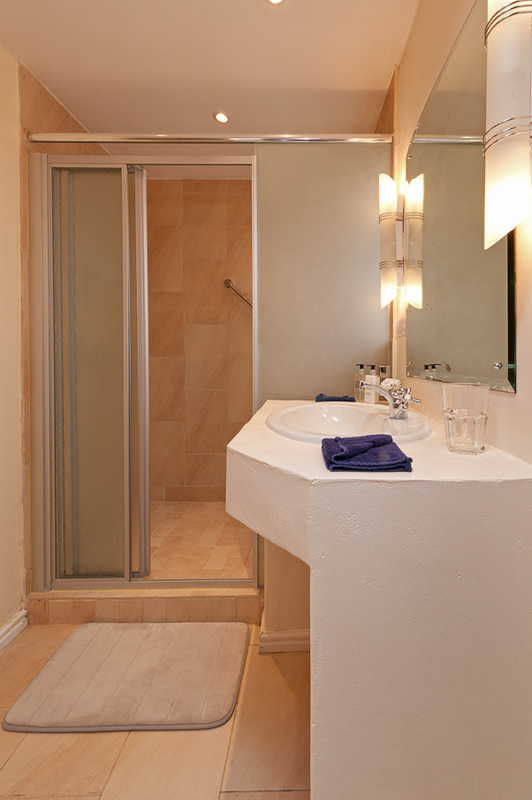 There is a spacious walk-in closet and the en-suite bathroom has a large tub, a double basin and a toilet. 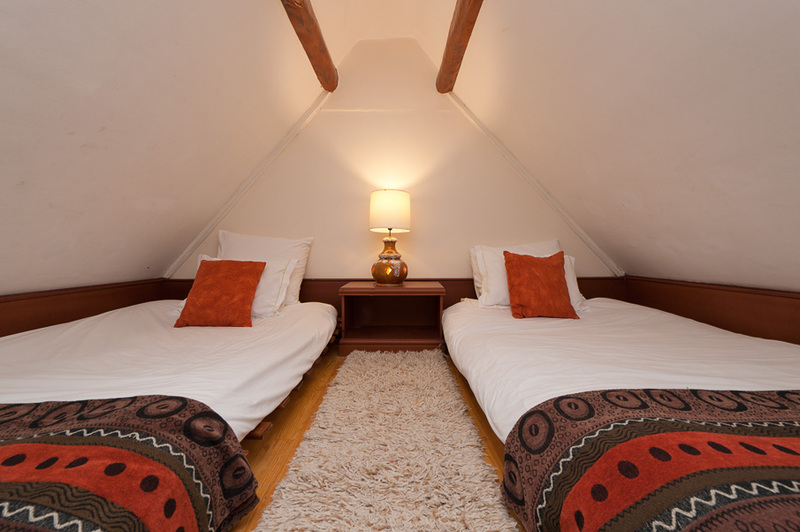 The mezzanine level is best suited for children or young adults and is furnished with two oversized single beds. 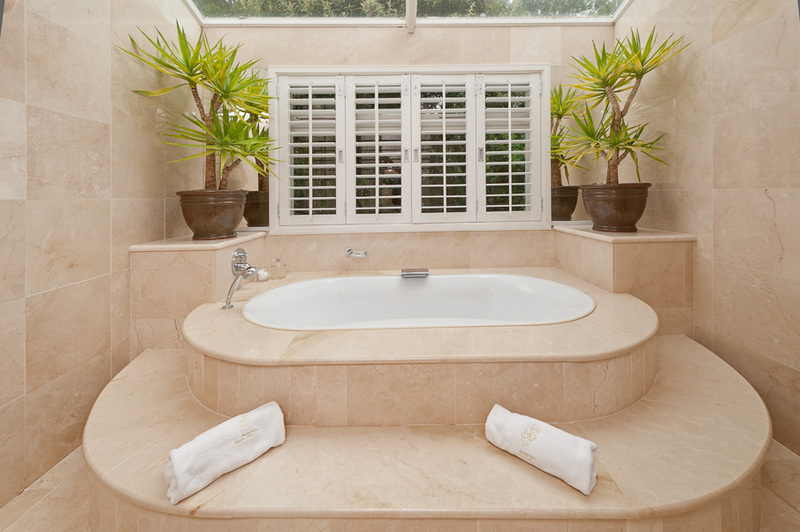 The separate guest bathroom on the ground floor has a shower, a basin and a toilet. No shows will be charged the full accommodation amount. For more information on the rates, cancellation policy and seasonal availability contact Bellavista Country Place directly. During the winter months Bellavista Panorama Restaurant is closed to the general public but from the beginning of October to the end of April the venue is open to Bellavista Country Place guests for breakfast as well as to guests and the public for lunch and dinner. There is a choice between cosy indoor tables and outdoor seating on the terrace. The menu offers a selection of starters, main courses and desserts that are freshly prepared with locally sourced products and produce wherever possible. Bellavista Panorama Restaurant is fully licensed and is perfect for large and small functions. There is seating for 30 guests for sit-down events and standing room for 70 guests at cocktail parties.